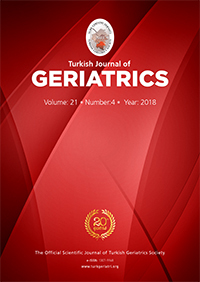 2Kafkas University, Faculty of Medicine, Department of Ophthalmology, Kars, Turkey DOI : 10.31086/tjgeri.2018.63 Introduction: This study was conducted to evaluate the results of early hyperbaric oxygen therapy (HBOT) in patients 65 years and older with Central retinal artery occlusion (CRAO). Materials and Method: The files of patients who presented with CRAO between February 2010-June 2016 were retrospectively analyzed. Age, gender, time between symptom onset-first HBOT session, other treatments, follow-up period, intraocular pressure(IOP), visual acuity(VA) were reported. Color fundus photography, fundus fluorescein angiography, optic coherence tomography (OCT) were done. HBOT was initiated in the first 8 hours after visual symptom onset. Wilcoxon test was used in statistical analysis, P<0.05 accepted as statistically significant. Results: 20 eyes of 20 patients with CRAO were included to the study. Thirteen (65%) of the patients were male, 7(35%) female; mean age was 65-87(76.3±9.6) years. Ocular massage, antiglaucomatous drops, acetylsalicylic acid, oral acetazolamide, mannitol (i.v) treatments were applied. Anterior chamber paracentesis was performed. All patients had HBOT within the first 8 hours, 20 sessions of HBOT (2.4atm, 120min) were applied. Time between symptom onset-first HBOT session was 5.3 hours. Follow-up time was 16.3 months. IOP was 12.23±3.41mmHg before treatment, 12.97±5.58mmHg after treatment. VA was 1.92±3.26 (logMAR) at presentation, 1.1±7.80 after treatment (p<0.01). VA improved in 13 eyes (65%), unchanged in 6 eyes(30%), decreased in 1 eye(5%). In OCT examination, mean macular thickness was 358 ?m at presentation, 177 ?m at 6 months after treatment (p<0.01).